This was a Year of Three Popes. In a mere 53 days, there were three popes. But this was not the Middle Ages, it was 1978. 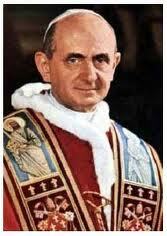 Pope Paul VI died on August 25th. The new pope, elected on August 26th, was John Paul I, was an Italian, Albino Luciani, born in 1912. 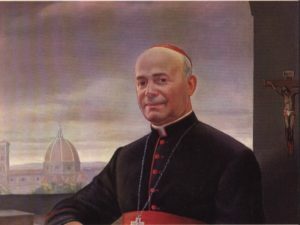 He was a humble man, first as a priest, then a bishop, and even when he was made a cardinal at the age of 61. He sold his treasured Cross, a gift from his mentor, Pope John XXIII, to raise money to help children, and urged all his fellow prelates to give up their wealth and live simply. However, just as in Medieval times, Albino Luciani was a compromise candidate. 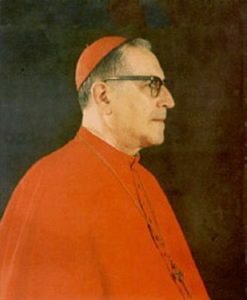 The conservative cardinals, who supported the powerful Cardinal Siri were up against the progressives, who preferred Cardinal Benelli. With these two factions facing off, cardinals outside of Italy joined forces and elected Luciani pope. He chose a double name to honor his two mentors, John XXIII and Paul VI. On the 33rd morning of his papacy, Pope John Paul I was found sitting up in his bed, dead, a reading light on, papers still in his hands. 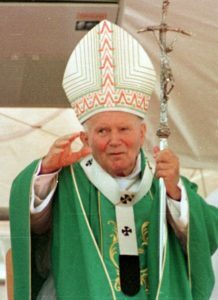 The Church said, “Heart attack, case closed,” held a new conclave and elected a new pope – Karol Josef Wojtyla (1920-2005) of Poland, who took the name John Paul II. 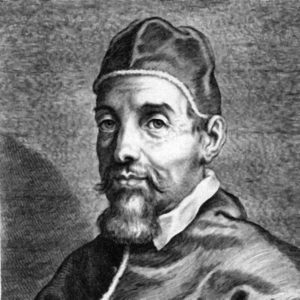 He was the first non-Italian pope since Dutch pope, Adrian VI – 455 years earlier. There were a lot of inconsistencies about how the Church handled the details surrounding the death of John Paul I. Deaths and suicides at the troubled Vatican Bank, the curious goings-on at the ultra-secret Church society called Angus Dei, plus Masonic Temple [aka, as some believe, the Knights Templar] machinations soon gave rise to conspiracy theories. 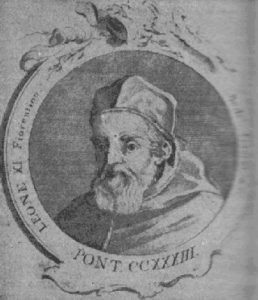 One odd fact – the physician who issued the cause of death on the death certificate (he was the personal physician of the cardinal who was then elected the new pope) never did personally examine the dead pope. NOTE: This is not the shortest papacy. The record holder is Urban VII (1535-1590). Elected on Sept 15, 1590, his death 12 days later was attributed to malaria. Fifteen years after that, Pope Leo XI (1535-1605) died on April 27, after 27 days in office, from a chill he caught during one of the long religious ceremonies in a cold basilica.